Thank you for your participation and support at aquaManager booth! It was an unforgettable experience for us to participate in a multicultural event like this! 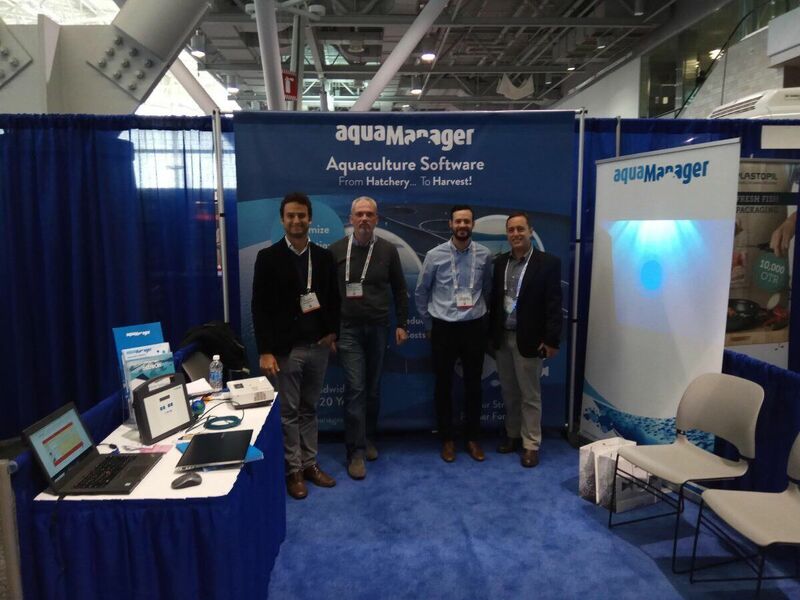 The aquaManager team spoke with a steady stream of visitors to the booth who expressed interest in using our integrated aquaculture software, which exists worldwide more than 20 years, as a strategic partner for growth! We handed out hundreds of copies of our brochures and we also had the chance to meet in person many of our clients for the first time after numerous of conversations through the internet. Finally we would like to express our deep gratitude and appreciation for the hospitality extended to us and the whole exhibitor list. SEE YOU ALL AT SEAFOOD EXPO IN BRUSSELS!